"By seeking and blundering we learn." We like to think of craft brewers as sudsy rock stars who crank out batch after batch of award-winning, creative, mouth-watering, perfect brews. In reality, craft brewers sometimes screw up, with many tanks of experimental brews going down the drain each year. 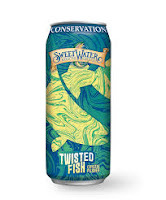 Even Dogfish's Sam Calagione can run down a list of dozens of new brews that just didn't make the cut - like his infamous, salted, sour ale brewed with snail meat and shells. He swears that "Escar-gose" sounded like a bright idea at the time. 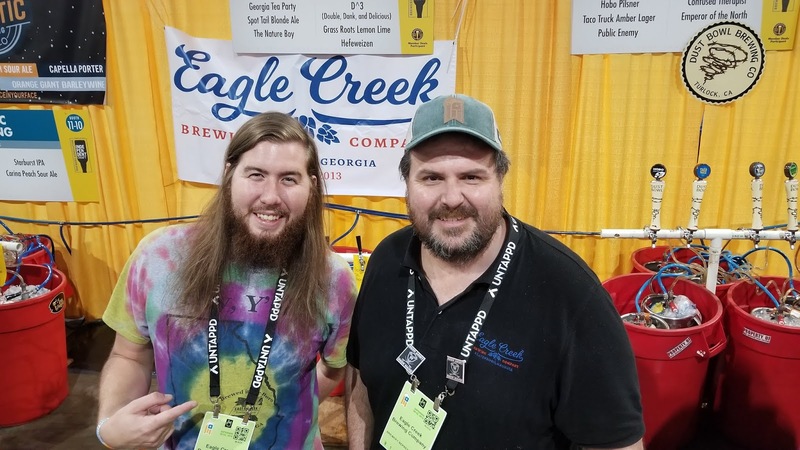 Wayne Wambles (left) and John "JR" Roberts collaborated on a special brew at Wild Heaven Beer in Georgia. 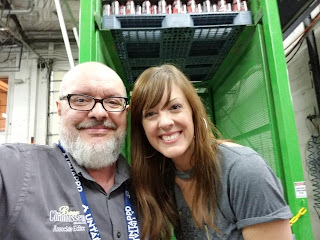 It was a sweltering summer day in Tampa in 2011, and Cigar City's Wayne Wambles had installed a 30-barrel, non-pressurized tank with a loose metal lid in the back corner of the brewery to ferment Guava Grove sour ale using the local Saint Somewhere yeast. 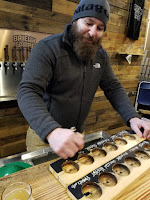 A few days later, Wayne noticed that a couple of bottles in every new six-pack of Jai Alai IPAseemed to be infected with a touch of funky Brettanomycesyeast. 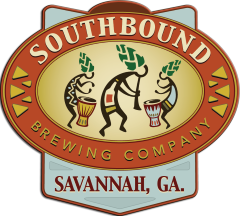 "The open fermenter of sour Guava Grove was located right next to the packaging line," notes Wayne. "This was a pretty terrible idea. Brett was spreading around, and the sanitizing solution in our bottle washer was not set strong enough to killBrett, only to do a basic sanitization and rinse. Some bottles were getting an unintentional dose of Brett, and this led to aBrett Jai Alai that was delicious but not something we wanted in our Jai Alai six-packs." Up until this point, most procedures at Cigar City were done by feel and instinct. The Brettanomyces infection convinced Wayne and the entire crew that Cigar City needed a quality control lab. "We brought in a consultant with a PhD in brewing microbiology," Wayne recalls. "He explained the lab processes that we needed, and we eradicated the Brett issue. Without this infection, I don't know how much longer it would have taken to get our lab going. 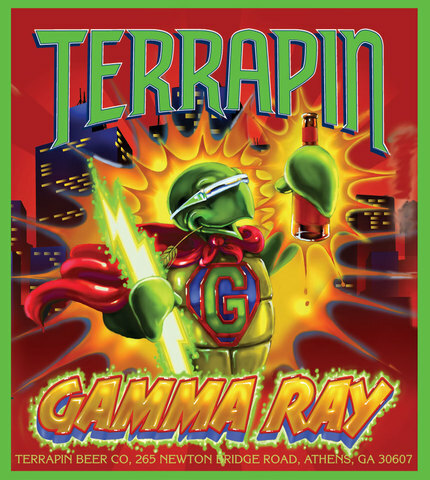 The infection was pivotal in wrapping our heads around scientific quality control." Cigar City now owns a wide array of lab equipment that includes a PCR analyzer. Instead of plating a beer sample on growth medium and placing it in an incubator for several days, the PCR machine carries out DNA sequencing of any wild yeast and acid-producing bacteria in the beer sample and determines in just a couple of hours if an infection exists. This has proven invaluable in keeping the brewery's beers in top condition. Old Rail brewer Matt Horney produces an outstanding range of classic beer styles in his Mandeville brewpub. 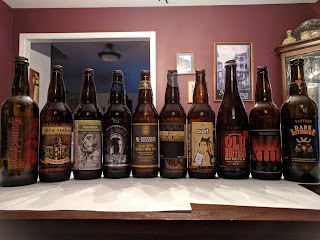 Brewer Matt Horney's beers at Old Rail brewpub in Mandeville, Louisiana are widely considered to be some of the finest in the state, but when the brewery was being constructed, the build-out consultant claimed that due to lack of space, a cold liquor (water) tank was not necessary. 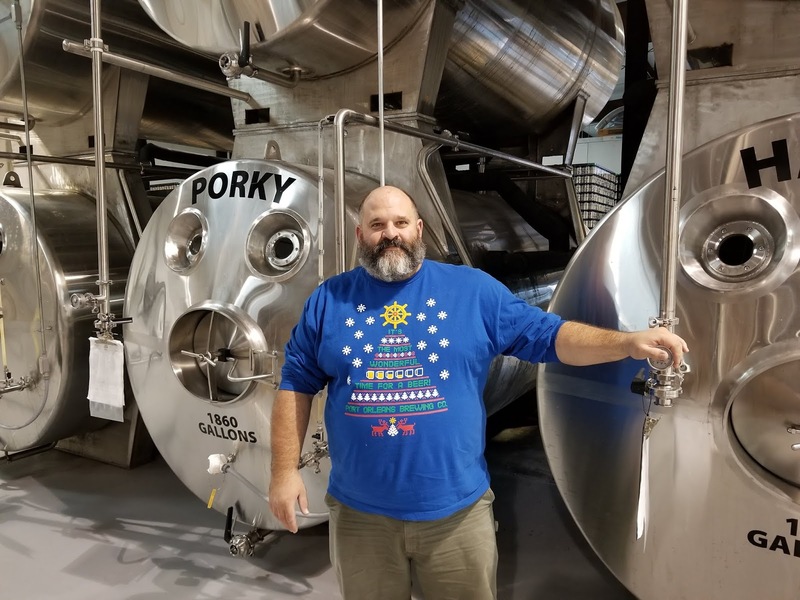 "After working in larger production-style breweries in the South I knew that not having a cold liquor tank would be a major mistake," Matt recalls. 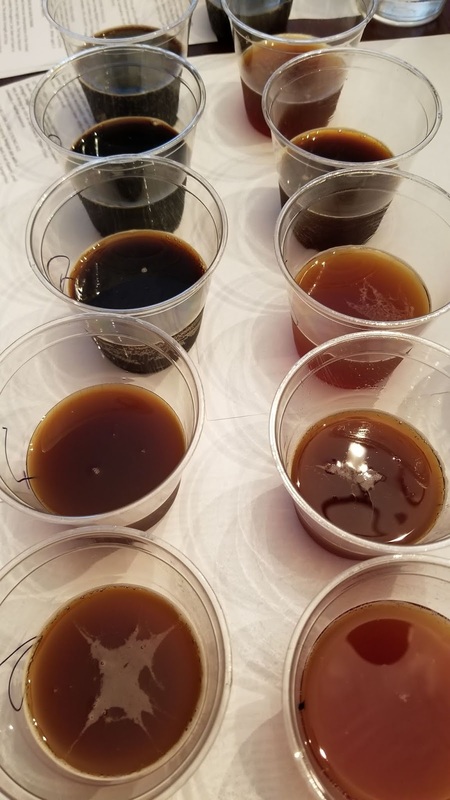 "With city water temperatures reaching 90 degrees in the hot Louisiana summer, I quickly found how hard it was to cool our wort. The original system used glycol that would supposedly supplement the city water in the cooling process. We had a two-stage heat exchanger, but the glycol just couldn't keep up. It was ridiculous." Matt's wort cooling was sluggish, the glycol system was stressed and the filtered water that passed through Old Rail's heat exchanger and collected in the hot liquor tank (HLT) exceeded the HLT tank's volume. Matt notes, "We were losing precious filtered water, and this was gut-wrenching, not economical and didn't make environmental sense. After some searching, I found two large poly tanks that could provide ample cold water. We now cool faster, recapture all our water, create less stress on the glycol and have cold water for other processes. The takeaway is to design your system with the local climate in mind and make sure all of your brewing needs are met." 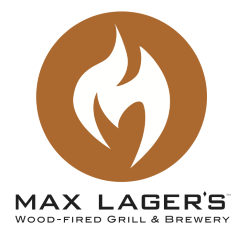 The now successful and popular Max Lager's Wood-Fired Grill & Brewery in Atlanta always seemed to be a little ahead of its time, and it was a struggle just to keep the doors open in the early years. In 2002, brewmaster and managing partner John Roberts (a.k.a. 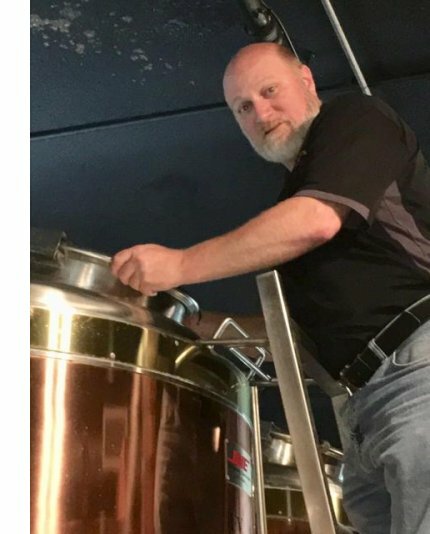 "J.R.") was holding down multiple duties at the brewpub that included brewing operations, floor management and kitchen supervision. J.R. learned a painful lesson in 2002. "I was always stressed with hours of daily work and minutes to do it," he says. 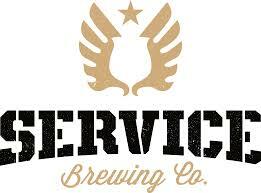 "One day I was transferring a beer into a serving tank. I finished a bit early and decided to clean the source tank before I had to work the floor for lunch. I opened the bottom drain, dumped the yeast and sediment, and assumed the tank was empty. I climbed the ladder to pop open the top manway to begin rinsing. On the way up, I noticed I hadn't opened the racking port to ensure pressure was off the tank. The pressure gauge was on zero, so instead of being safe, climbing back down and opening the racking port, I decided to go ahead and open the manway." J.R. had barely cracked the seal on the manway when he heard a deafening hiss followed by a boom like a cannon being fired. The manway blew open and caught J.R. directly in the jaw. "I shouted 'F%$K! I've broken my jaw!' When I stood up I felt blood rush across my chin and neck. After six hours of bleeding on an emergency room floor, I got eight internal and eleven external stitches where the manway had split my skin down to the bone. I felt like I had gone eleven rounds with Mike Tyson. After a few days and a few strong pain killers, I went back to the brewery to see that my chin had actually bent the steel manway." The injury reinforced in J.R. the principle that safety in a brewery should always come first. No matter how much there is to do, safety procedures should never be rushed. J.R. also learned he was pretty good at taking a punch. Highland Brewing's president Leah Wong Ashburn proudly displays her lineup of rebranded ales and lagers. Photo courtesy of Highland Brewing. 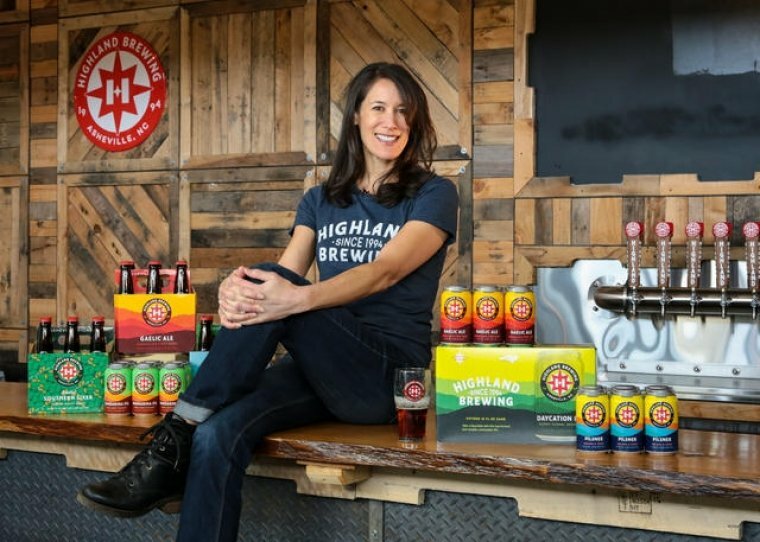 After taking over the reins from her father and becoming president of Highland Brewing in 2015, Leah Wong Ashburn began plans to revitalize and rebrand the pioneering Highland beers. 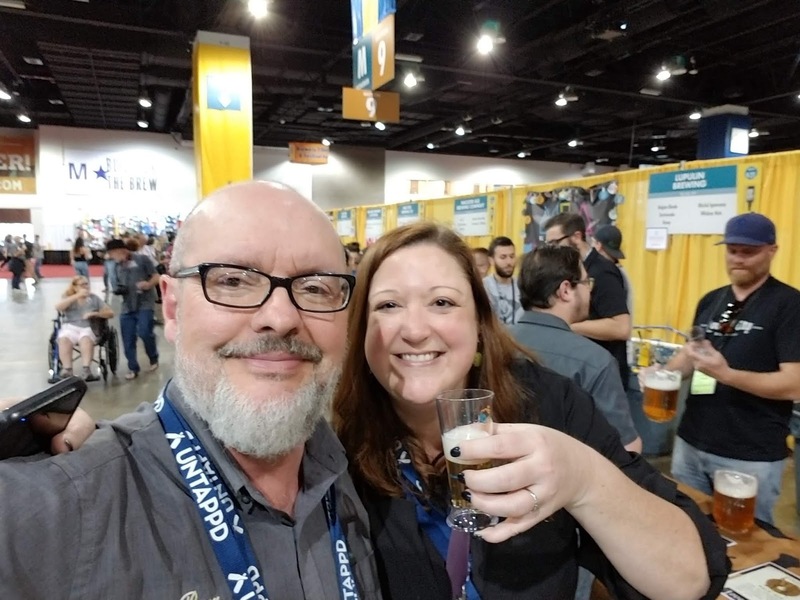 In August of 2017, Leah sat in her office looking over new beer brands and label ideas when Highland brewmaster Hollie Stephenson walked in with unexpected, distressing news. Hollie told Leah that she had accepted the head brewer position at the new Guinness facility near Baltimore. Considering Hollie's successful two and a half years at Highland, Leah had no idea that her brewmaster might be looking for other prospects. Leah points out, "A great opportunity simply fell into Hollie's lap. When she told me she was leaving, we both cried for a minute, and then I was in a panic. We are still friends and we love Hollie very much, but I felt a deep loss. My mistake was that I wasn't aware she was looking for something that she wasn't getting at Highland. We moved so far ahead with Hollie that it was easy for me to be content and happy, and I stopped asking enough questions about improving relationships and operations." When Hollie departed, Leah began tightening up the job description of Highland's brewmaster and soon realized the advantage of having multiple people fill the role and work together. 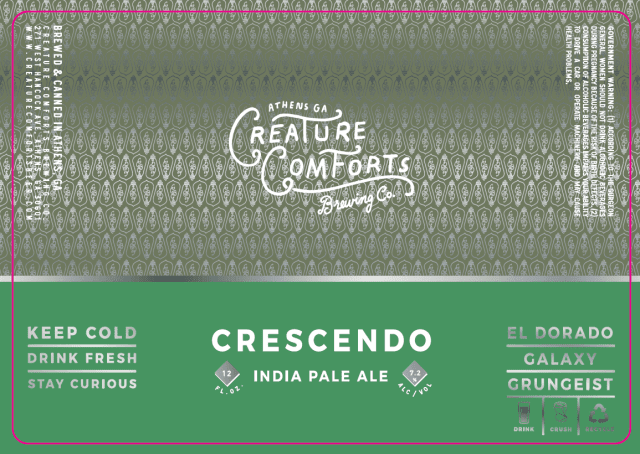 "Our brewers love to make new, creative beers," notes Leah. 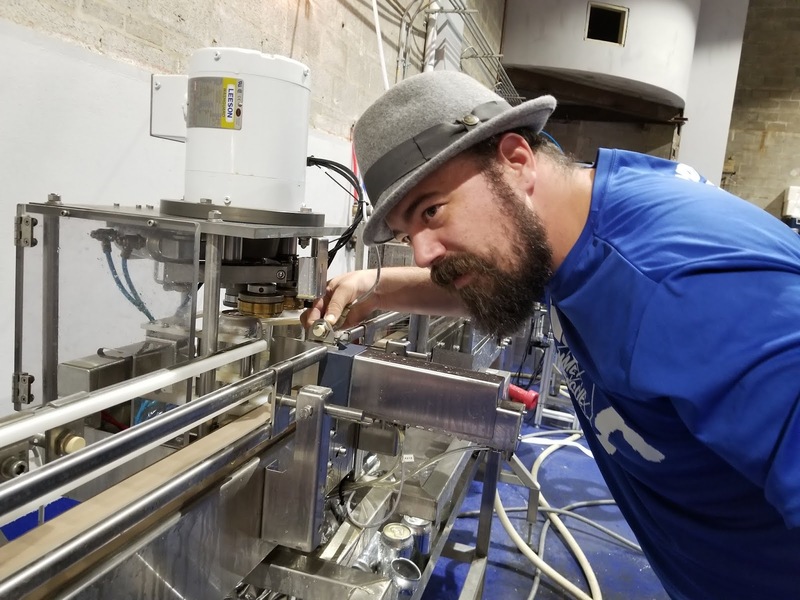 "With more than one lead brewer, we now get the best creative outcomes with multiple sources of input and ideas, and our new brewing team is simply brilliant. The company now feels more engaged about what's brewing in our pilot system, and we have involved the entire staff in this renewed creativity. Mistakes can be stressful and scary, but with creativity and teamwork, mistakes often lead to innovation." 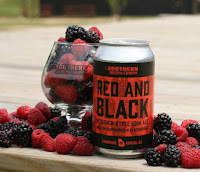 Published originally in Southern Brew News. 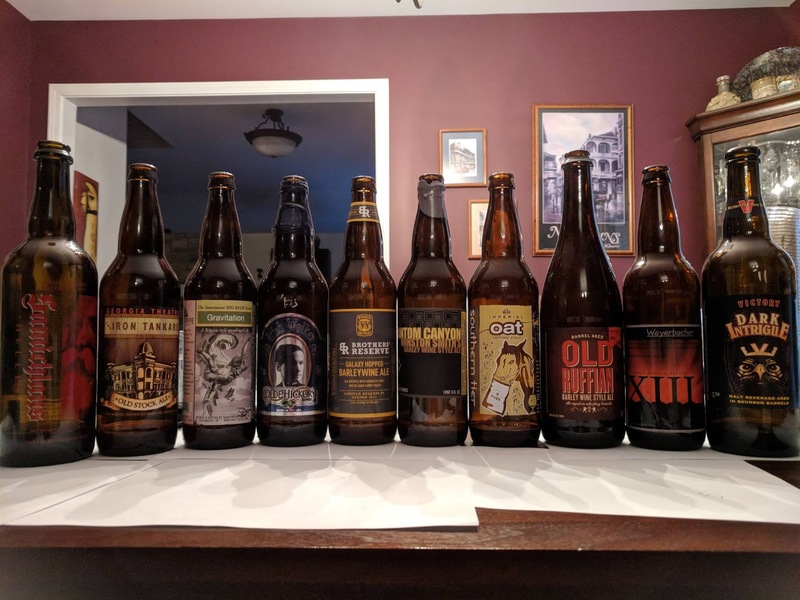 Congratulations to the beers chosen by the crowd as the best pairing with each food item. Brewers: I will have your award plaques to you soon! 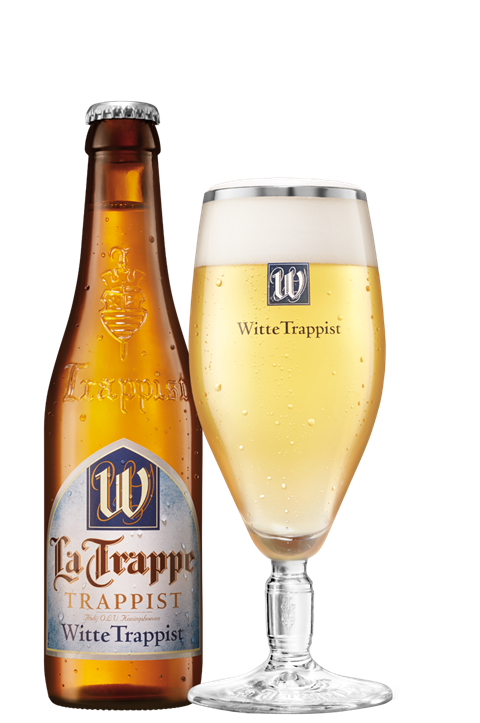 Early in the twentieth century, Belgian witbier (white beer) was quite popular in Brabant, Belgium, but around 1950, Belgian witbier brewer Pierre Celis watched witbier breweries in the country begin to close their doors. Longing for the return of witbier made with with wheat, milled coriander seeds and Curacao orange peel, Pierre Celis produced a batch of homebrew that was so popular, it inspired him to produce the beer on a small retail scale in 1966 in the Belgian town of Hoegaarden. Circumstances forced him to eventually sell the Hoegaarden brand to Stella Artois. 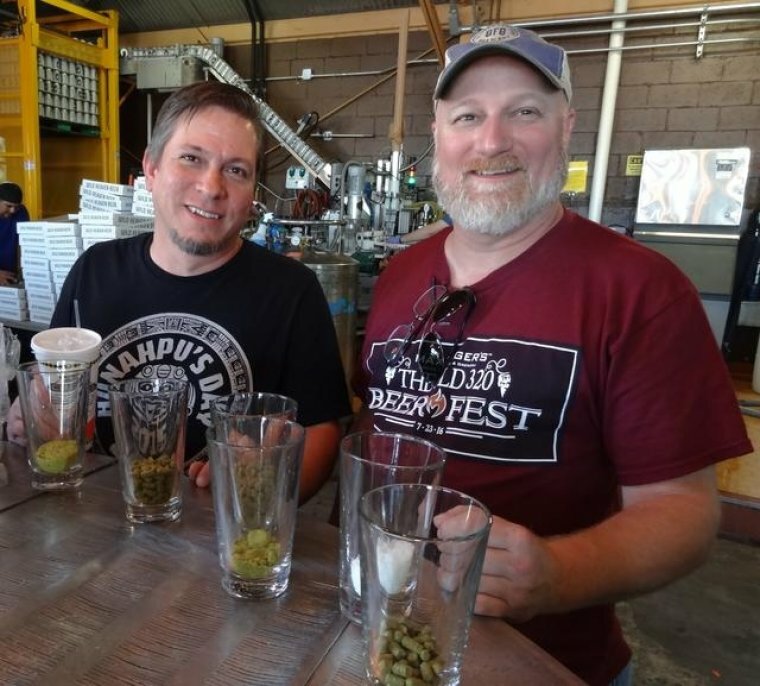 Celis moved to Austin, Texas with his daughter in the 1990s and opened his own Celis Brewery that cranked out over 22,000 barrels of award-winning Celis White in its most productive year. 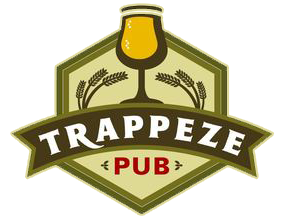 Pierre eventually sold this brewery to Miller, who soon closed the Austin facility. 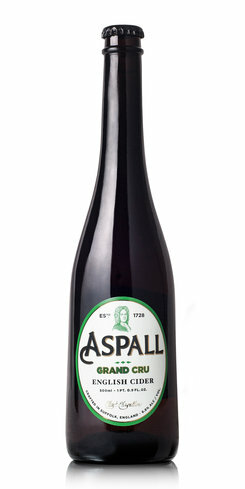 But lovers of the classic witbier style now have reason to rejoice. Celis' daughter Christine is proud to have recently resurrected Celis Brewery at a different location in Austin, and her daughter Daytona has expressed great enthusiasm in brewing at the facility. 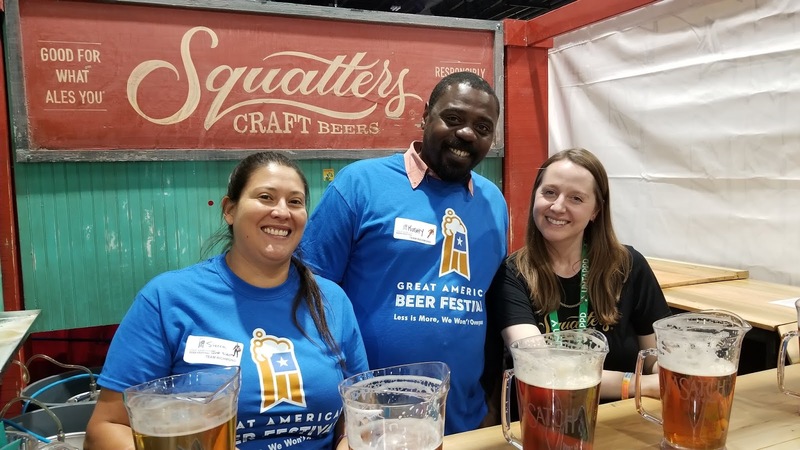 Despite being known for its vibrant ambiance, music and food that are loaded with local flare and rich flavors, New Orleans tended to lag behind other regions of the U.S. in terms of craft beer appreciation over the last several years. Fast forward to the past few years that have seen an eruption of exciting craft beer bars and breweries all over the Crescent City, and it seems that a multitude of residents now realize just how well a saison or IPA pairs with crawfish etouffee or a shrimp po' boy. Following is a rundown of six of the latest New Orleans craft breweries that should not be missed. 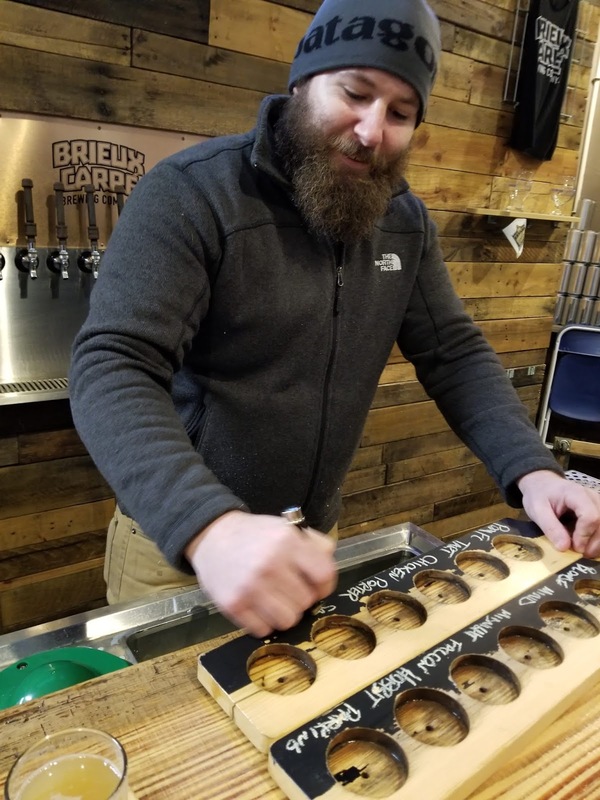 Brian Allen, brewer and president of Port Orleans Brewing Company, held brewing jobs in Missouri, Massachusetts and Wisconsin before opening his Uptown New Orleans brewpub in May of 2017. "While studying geology in college, I worked at a pub in Maine that served Bud, Bass and Guinness," notes Allen. 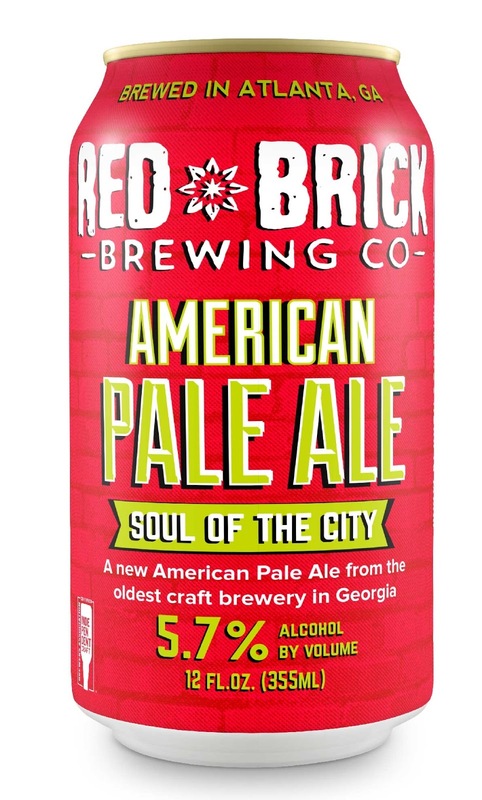 "I started wondering why I was drinking these beers, when we had new craft breweries just down the street. 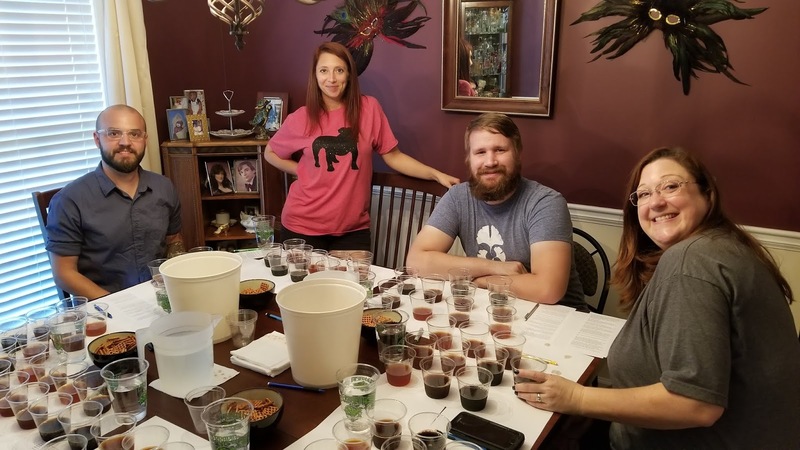 I realized I really didn't want to be a geologist, and thought that brewing would be a great way to apply science to a meaningful career." Housed in a good-looking building with a tasting room and kitchen, Port Orleans fits right into New Orleans' culinary culture. Allen rents the brewery's kitchen to chefs who named the space "Stokehold" and crank out mouth-watering food items to pair with Port Orleans' brews. With 14 beers in the tasting room, the brewery's best sellers include Riverfront Lager with a touch of Calypso hops, Slack Water Brown Ale and the West-Coast-style Storyville IPA. 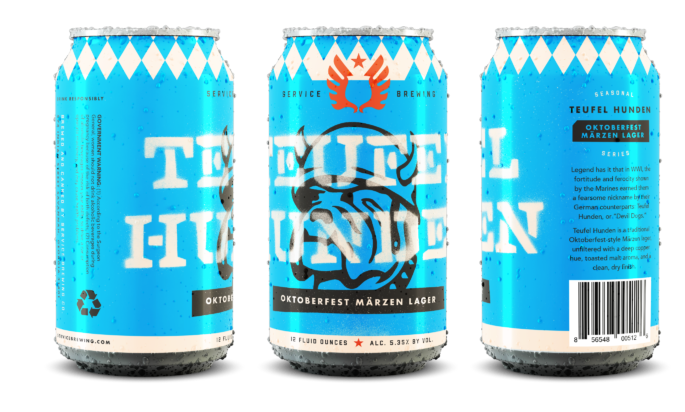 Also look for these brews around the area in 12-ounce cans. As 2018 is New Orleans' 300th anniversary, Allen plans exceptional seasonals that include an amber lager aged in Elijah Craig barrels, a 13% ABV imperial stout in bourbon barrels, and an IPA variant with local citrus fruits. "Our brewery slogan is 'Brewed Below Sea Level,'" notes Allen. "With Tipitina's music hall, NOLA Brewing, Urban South and hip Magazine Street nearby, we love our neighborhood, and locals seem to love our food, beer, bar and beer garden." Urban South opened its doors on St. Patrick's Day of 2016. 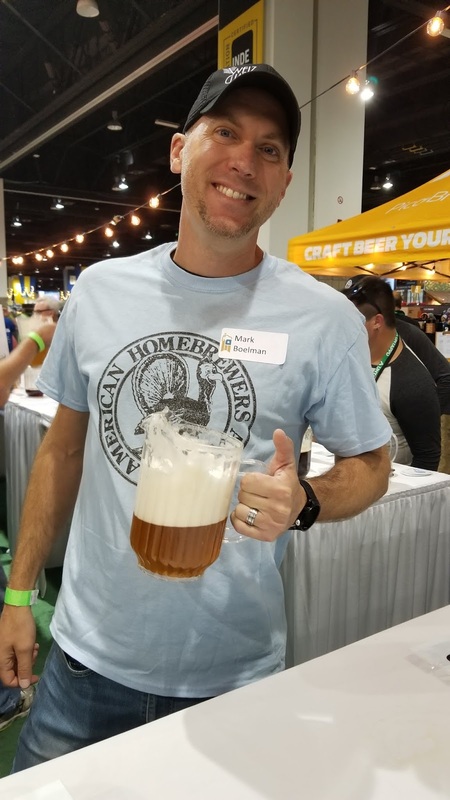 Co-founder and vice president Kyle Huling had started up the craft beer program for a local beer distributor, and his future business partner fell in love with craft beer while working in the Pacific Northwest. 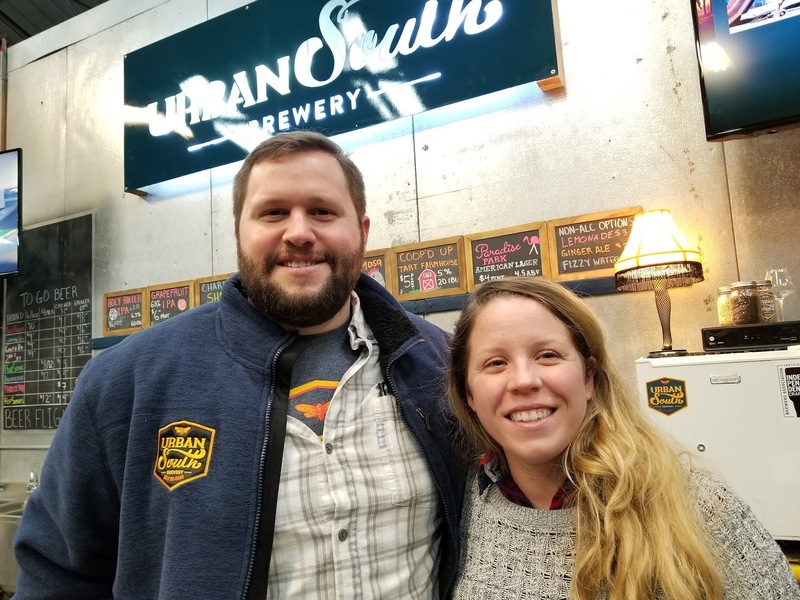 When asked about Urban South's inviting, spacious tasting room and brewery, Huling explains, "All the brewers we spoke to advised us to get the largest building with the highest ceilings that we could afford. We looked at 25 other spots around the city before we decided on this one that was once a metal storage warehouse. We sublease a quarter of the building to Craft Kettle tank manufacturers." Expect four year-round beers at Urban South, a creative seasonal lineup that changes every few months, and the hop-focused "Architecture Series." "We are not afraid to fail, and one of our core values is being fearless," notes Huling. "We came up with 20 initial pilot brews, and some were great, and some went down the drains. In 2018, we'll release Paradise Park American Lager that will be priced just like the big boys. Eight out of ten beers consumed in Louisiana are still a macro or import lager, but we see Paradise Park as a way to ease these consumers into the craft beer world." Born and raised in New Orleans, Huling takes pride in bringing jobs to the community. "Our Christmas picture last year had nine employees, and this year we have more than 20," he says. "Everything about New Orleans is about family, food, friends and fun, and beer fits right into that mix. Our brewery is family friendly, so bring the kids to check out the games in our taproom." Situated in the quiet Bywater district, just a short taxi ride east of the French Quarter, sits the inviting Parleaux Beer Lab brewery. 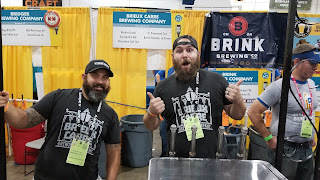 The brewery started production around 2017's Jazz Fest, and co-owner Eric Jensen focused on being a neighborhood brewery that embraced the "funky and fun" attitude of the city while creating a welcoming space for friends and families. 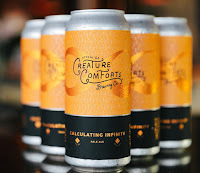 Jensen remarks, "We want to apply a playful, yet science-based, approach in creating a range of rotating beers that are flavorful, well-balanced and sometimes outside style norms." 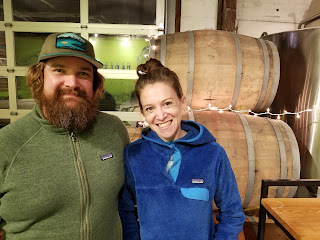 Jensen and co-owner/wife Leah both come from areas loaded with craft beer - Eric from Grand Rapids and Leah from Denver. "We see the most captivating part of craft beer is the cultural history and value beer has had in regions around the world," states Eric. "We're living through an incredible beer renaissance in New Orleans right now. Leah and I are laid-back and chill, but with a deep appreciation for our community. 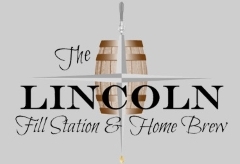 Our neighbors are our best customers, and we are family-friendly and puppy-friendly." Parleaux's most popular current beer is Foggy Glasses - a juicy, soft, fruity New England-style IPA. Eric Jensen adds, "With recipe input from several brewer friends, I sat down with my brewer Chuck Smock and designed an amazing IPA that has gone over really well with our customers." 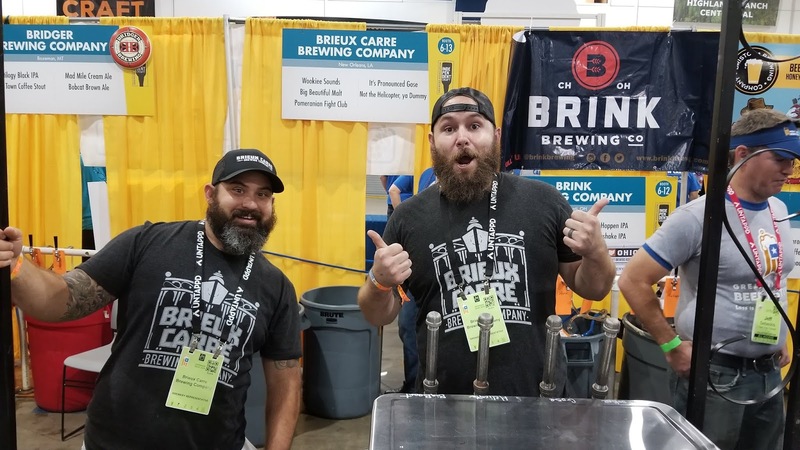 New Orleans locals love to drink and listen to tunes on busy Frenchmen Street, so owner/brewer Robert Bostick was thrilled to locate his compact Brieux Carré brewery, taproom and beer garden just a few steps off Frenchmen back in April of 2017. 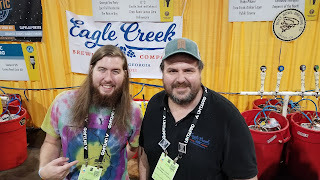 As with many modern craft brewers, Bostick started off as an avid homebrewer of IPAs, experimenting with a array of dry-hopping techniques for the original recipe of his now best-selling Falcon Warrior IIPA with Falconer's Flight, Warrior, Simcoe, Citra, Cascade and Amarillo hops. His friends fell in love with the beer and encouraged Bostick to go pro. 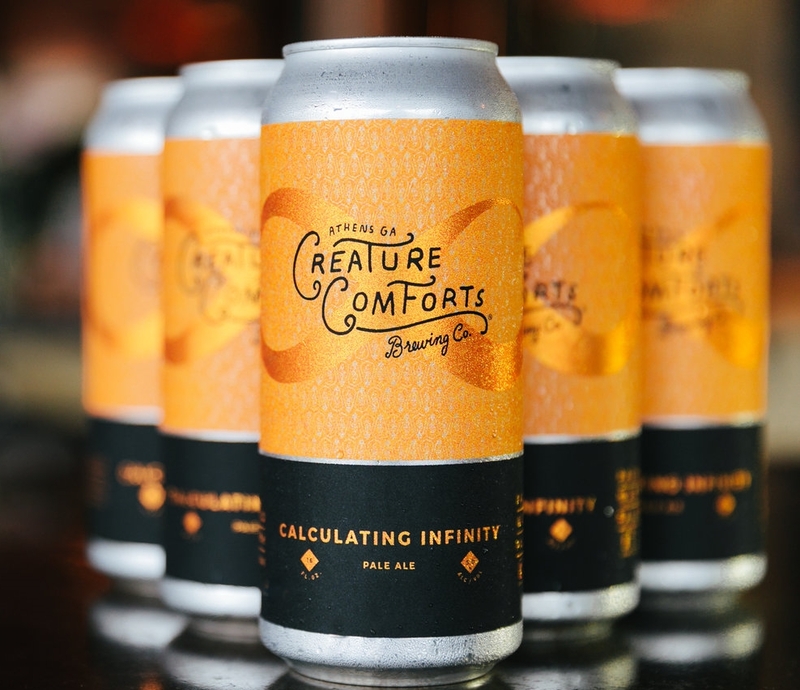 "My first trip to Denver brought me across TRVE, which quickly became my inspiration, as they had this incredible 'shotgun-style' taproom," Bostick recalls. "It resembled the architecture that I was used to in most New Orleans homes, and I felt it was appropriate to bring that theme to Brieux Carré." People enjoy Brieux Carré's friendly, relaxed atmosphere, and this makes Bostick a happy guy. He suggests, "Some people take drinking beer too seriously, but most people who meet me at the brewery know that I'm sarcastic and enjoy poking fun at current beer politics. New Orleans is full of weird people, and Brieux Carré fits in well." Located on the south shore of Lake Pontchartrain, just south of New Orleans Lakefront Airport, sits Royal Brewery New Orleans. In the mid-1990s, founder Raymond Pumilia began brewing on a kitchen stove in his New Orleans art studio, after a friend gave him a brewing kit. 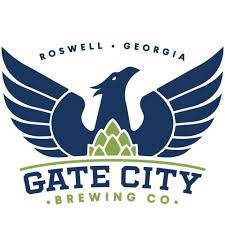 In a discussion with a friend in a bar late one night, Raymond announced his intentions of starting a brewery. He and his wife Mandy soon embarked on long days of business planning and location scouting. Upon its opening in May of 2017, Royal Brewery's taproom formed a bit of a craft beer oasis on the south shore. 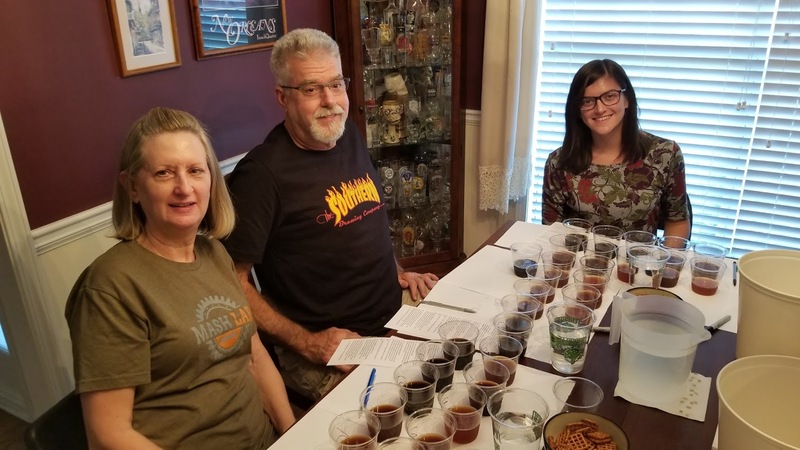 Mandy Pumilia shares, "People enjoy visiting with our team, sipping our traditional beer styles, joining a tour on Saturdays and Sundays and playing games with friends and kids in our children's area." The brewery sits near a planned South Shore Harbor amphitheater and a ship exhibit from the National World War II Museum. "Our location in this heavily industrial area alongside other businesses like Folger’s Coffee, Luzianne Tea, Bunny Bread and Southshore Donuts was perfect," Mandy Pumilia suggests. "We refer to the area as the 'Beverage and Yeast Belt of New Orleans' and are excited to add Royal Brewery New Orleans to complete both belts of commerce." Wayward Owl launched in November of 2016 after two years of renovations on the historic GEM Theater just northwest of Central City. 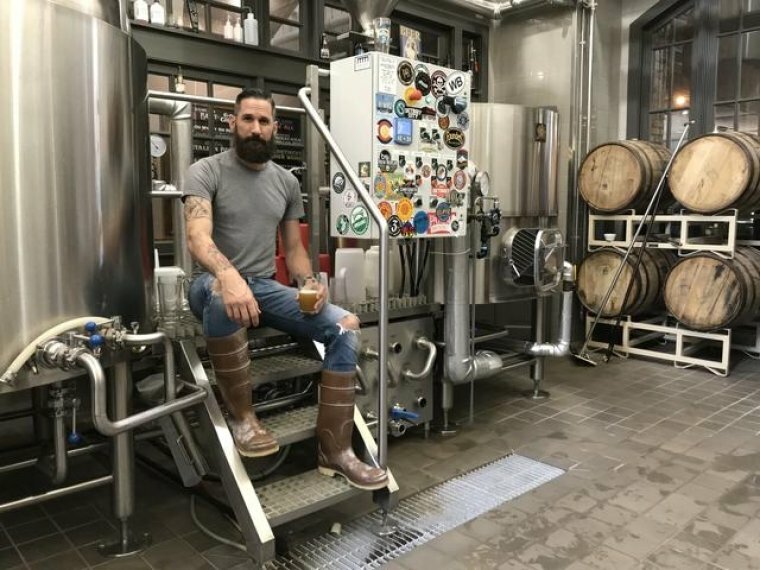 Founder/brewer Justin Boswell got his brewing boots wet at Black Raven Brewing in Redmond, Washington. "I started by washing floors and worked my way up to being one of the lead brewers," Boswell recalls. 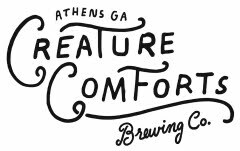 "After 12 years away from Louisiana, my wife Kristin and I decided to come home to open our own brewery. 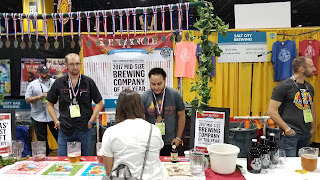 One of the influences on us coming back was the changing political climate becoming more favorable toward small breweries. Once we got here, finding our amazing location in a historic theater sealed the deal." Folks in The Big Easy immediately appreciated the grassroots style and convivial vibe at Wayward Owl. "We are a small, local, family business, and we think people here find that important," says Boswell. "Patrons made our Clean Slate IPA our best-selling beer, and the first time it was brewed was at midnight on December 31, 2009 in my friend's garage. This was our first all-grain recipe, and the current version is absolutely nothing like the original. We've tweaked this beer over and over, and now we have a final recipe hitting shelves in time for Mardi Gras."